Welcome to my website! 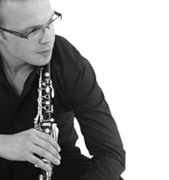 I am a London based Clarinettist and graduated with MA(Distinction) and DipRAM at the Royal Academy of Music July 2015. My studies were generously supported by The Countess of Munster Musical Trust Postgraduate Study Award and The Greenbank Scholarship. Here you can find more information about me, my upcoming engagements and repertoire. If you are interested in booking me for an engagement please contact me. Selected to participate in Bournemouth Symphony Orchestra’s ‘Change Makers Ensemble’ BSO Resound. Winner of Harold Craxton Prize for chamber ensembles with Julia Pusker and Alexandra Vaduva-Trio Mirage.